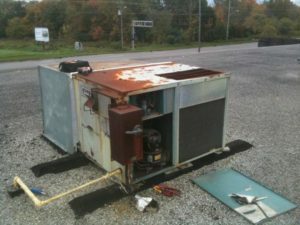 An article in Facilities.net highlights the benefits of preventative maintenance programs for boilers. The article explains such programs provide great benefits to building managers by improving safety, minimizing downtime, decreasing replacement costs, and reducing energy and water usage. But before instituting a plan, a building manager should still take the time to determine if using a program will prove beneficial enough, considering the costs. 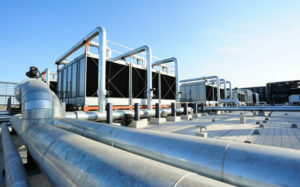 Preventative maintenance programs for boilers are most beneficial if the failure rate of the system as well as the cost of the program are less than the cost of repairs or other corrective action, according to the Facilities.net article. But corrective action costs can be difficult to determine because they also include costs like lawsuits due to safety issues or dissatisfaction among employees or customers. In general, over time the cost of a preventative program decreases, but corrective costs may increase. When repair costs start to increase is where the curve shifts in the cost and energy benefits of replacing the system. 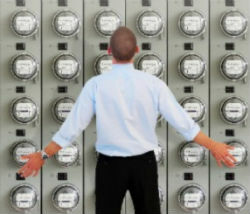 Older boiler systems operate at between 55% to 80% efficiency rates, reports CNT Energy. But newer systems tout efficiencies of up to 97%. 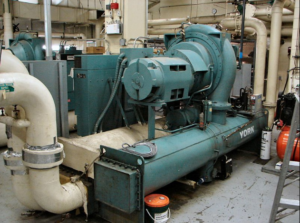 Because dirty boiler tubes kill efficiency no matter whether the system is old or new, building managers should include boiler tube cleaners as part of their preventative maintenance plans. CNT Energy offers the following advice to help you decide whether it’s time to replace an old boiler. Consider sizing. Boilers should be sized based on the building. Oversized boilers may only run at partial capacity, lowering combustion, while undersized boilers can’t properly heat the building. Know the projected efficiency increase for a new boiler. If an old boiler is operating at a extremely low efficiency, even a switch to 80% efficiency equates to a fairly large energy savings. Research the cost to remove the old boiler and install a new boiler. It varies widely by type of boiler, materials involved and the location where it’s installed. You don’t have to replace boilers that are less than 20 years old unless they have major problems. It is, however, worth measuring the combustion efficiency. This can vary among both old and new models; some older models may run past 20 years without efficiency issues, while a newer boiler may operate below its rated efficiency. You can read more about calculating combustion efficiency here. As another, potential cost-saving choice, boilers can be retrofitted. Upgrading boilers can make them more efficient than the older systems. But the cost of a retrofit should be carefully considered. If a replacement is likely to occur within a few years, a retrofit may not make financial sense. And installing completely new equipment ensures you get the newest, most efficient heating technologies on the market. Subscribe to our blog to receive the full blog series via email and stay informed about the latest HVAC news and insight. Consult the U.S. Department of Energy’s operations and maintenance site for more information about instituting a preventative maintenance plan. 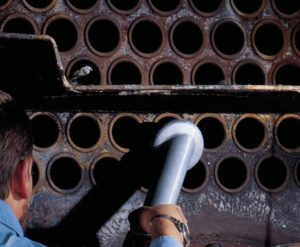 Download Goodway’s How to Clean Industrial Boilers Checklist for a thorough primer on cleaning – a resource we at Goodway stress should be included in every maintenance plan. For a great Broward air conditioning company, call A Star Air Conditioning. Well said and a good post indeed. Uncleaned tubes will reduce the efficiency for sure and so tube cleaning and maintenance is a must to increase the efficiency. Love your Blog. Always great topics and tons of information. I recommend that anyone who reads your articles add you to their subscription list.